I must admit I was confused when asked to write a post for the Motherhood Series. I mean, I have a husband, but no ten little toes scampering around the house reaching to touch glass tables with ten little fingers while looking around with innocent amazement. A trip to the grocery store is just that, a quick trip without a happy little voice saying “I want that!” There you have it, I have no children, am 38 years old, recently had precancerous cells removed from my cervix and have fibroids that appear to enjoy making my uterus the size of a woman who is 3 months pregnant. So I have wondered and questioned if motherhood is going to happen for me? Will I ever experience the joy and maybe morning sickness of pregnancy? Well, when I began to question my wonderful husband during one of my woe is me bouts and remind him of the possibilities he told me the following: “I didn’t marry you for children; I married you because you are the woman God placed in my life; I married you because I love you, and if we don’t have children [biologically] we will continue to trust God together.” How my heart smiles with the thought of that man! And that’s good, really good, because he is often the one by my side when we encounter the Frequent Flyers! Who or what are they? Allow me to explain. When I read this scripture or recite it, I am reminded that God did not create me to fear! It is because of Jesus I have power over the silly thoughts that try to inundate every vacant and not so vacant place in my mind. It is because of Jesus I remain calm and have self control when the Frequent Flyers and their partners head my way! Much appreciated! It is because of the reminders God gives me in his Word that I also sleep very well at night; no tossing and turning worrying when will we prepare our nursery or wondering if he or she will have Mommy’s or Daddy’s eyes. Trust. That’s it; I Trust God. And While I am waiting for motherhood to begin, I am enjoying the journey and learning and relearning awesome things about myself and my relationship with Christ and my family! Here are a few of the things in no particular order: 1- Fear does not have a place in my journey. 2- God loves me and cares about me and spending time with him is the single best way to start my day. 3- My nieces and nephews really enjoy spending time with me (I use the great amount of laughter and smiles as a gauge, but they also tell me). 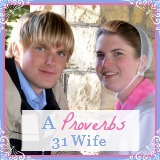 4- My husband is my best friend and our marriage consists of three people: God, him, and me (order specified). I may not be able to stop the Frequent Flyers, but with God I can face them with no shame. Whatever the outcome may be, birthing a child, adopting a child, or simply remaining as I am, the best Auntie and Godmother I can be, I am content and happier than people know (See Philippians 4:12-13). So as my husband and I continue to trust God and enjoy our journey, know that we are smiling and embracing each day we are blessed with as a new opportunity to allow our joy and the reason for it to be contagious to others. My name is Victorine and I am lovingly called Vickey by family and friends. I am 38, married almost three years, and reside in Middletown, DE. I enjoy learning about God, spending time with my husband, playing and spending time with my nieces and nephews, laughing and cooking. My husband and I fellowship at Ezekiel Baptist Church located in Philadelphia, PA.